This week, we have a look at tipping as it affects the UK cruise market as well as others, looking at what various cruise lines recommend. While we all know that Brits hate tipping, we have a look at the different amounts recommended by different lines, as well as tha fact that some don’t ask for gratuities at all. Seattle, once home to a cruise line that said “Tipping Not Required,” had a bumper year in 2011 and now that this year’s Alaska cruise season is over we look at the results. Finally, Crystal Cruises will be trying a lot of new itineraries in 2012 and one particular, a 7-day round trip itinerary from Montreal with the Crystal Symphony, seems to be the first cruise of this type to be offered in almost twenty years. While North Americans don’t worry too much about tipping, it is nearly always an issue with Brits. So much so that the subject is continually turning up in British newspaper travel sections and travel magazines. In fact is discussed in some on line forums to such an extent that it can get boring, and make Americans think that Brits are a rather parsimonious bunch. However, there is a huge cultural difference here. For just one thing, Brits are used to drinking in public houses, where they never leave a tip, while Americans are accustomed to leaving a tip for every drink they purchase. Jane Archer, writing in The Daily Telegraph recently published a table of gratutities charged by different lines in the UK and we thought we would do something similar but using a bar chart to show the relationship of the gratuity levels recommended by different lines. The difference in culture shows best in terms of the differing amounts lines recommend, as well as how they go about charging them. Looking at the chart, it is clear that the British cruise lines are by far the cheapest, with P&O Cruises recommending a mere £3.10 per person per day. Fred. Olsen Cruise Lines follow at £4 per person per day, 29% more than P&O, and Cruise & Maritime Voyages at £4.50 per person per day, 50% more than P&O. So P&O wins hands down if the recommended amount of tip is to used as a guide. Next in line come the cruise lines in the middle ground. In ascending order, these are the Italians, MSC Cruises at £5 to £6 per person per day and Costa at £5 to 6.50, followed by the Italian-officered (but American Fun Ship) Carnival Cruise Lines at £6.50. Speakig of Italian cruise lines, I have always found it amusing that once on a Costa cruise the recommended daily gratuity in Euros was less then the amount recommended in Sterling, and I wondered how many Brits noticed – probably most of them I should think. Next come the £7-pounders. It is not at all interesting nor amusing to find that at £7 per person per day Holland America finds itself at the bottom of this group, as only in the last few years has it introduced tipping. Remember that the Dutch like to have their tips included in the price they are charged and until the mid-2000’s Holland America’s policy was “No Tipping Required.” That has gone the samw way as Duty free drinks. The trouble is that all the passengers were American and tipped anyway, so Holland America got away with it. It will be interesting to see how they charge what used to be their home marklet, however, as starting in 2012 the Rotterdam will be based year-round at her namesake port for the Dutch-speaking Benelux market. Next up the scale come Princess at £7.50 to £7.75, Cunard at £7 to £8.50, NCL at £7.75 and Royal Caribbean at £7.50 to £8.75. 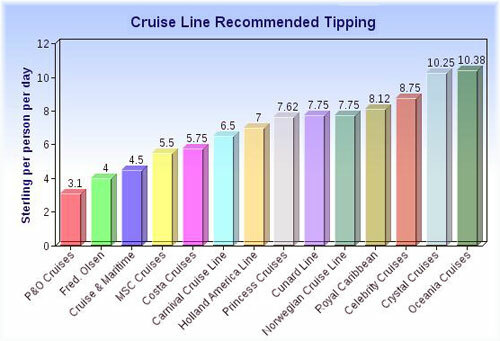 Note that Cunard is well above sister line P&O, recommending that passengers tip two and a half times as much. Some Brits may have lost interest in this table by now. Finally come the most expensive lines for tipping. Celebrity recommends £7.50 to £10 per person per day, while Crystal sits at £8.50 to £12 and Oceania comes out as most expensive, at £8.75 to £12 per person per day. Compare Oceania to Azamara, who with the same ships do not charge gratuities and include wine with lunch and dinner. Once we reach the £12 level of course we are looking at £168 in gratuities per couple for each week they are on board, almost four times as much as P&O Cruises, which recommends £43.40 per couple per week. Not taken into account in this table of course are the all-inclusive lines, such as Regent, Seabourn, SeaDream, Silversea, and as of next April, Crystal Cruises, who will also drop out of this chart completely. Regent is of course the all-inclusive associate of Oceania Cruises, who recommend the highest gratuities of the lines examined here. Other than that, Continental lines such as Pullmantur also add gratuities to the onboard account, at €65 for a week, or about £8.40 per person per day – this may look to be nearer the top end but Pullmantur fares are all inclusive of bar drinks and wine, on which an additional 15% is usually billed for gratuities. This makes £8.40 per person per day look more reasonable. And at the very top of the market, Hapag-Lloyd Cruises does not charge gratuities on board Europa, but it does charge for drinks, which are charged at much more like duty-free prices than the $10 a drink rate one often sees on American market ships. Royal Caribbean International two years ago talked about reviewing its gratuities policy to try to come to an accommodation with its British customers. The other side of this coin of course is that many ships’ crew hate sailing from the UK because Britush passengers are such poor tippers. While the cruise line has to find a happy median, it is now two years later and we are still waiting to hear the outcome of this review. 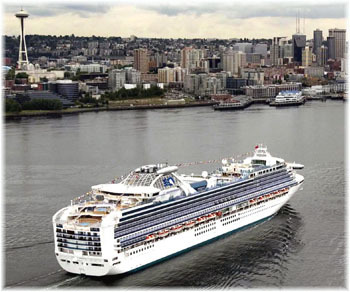 The Port of Seattle has reported that its 2011 cruise season included 196 ship calls, with ten ships based there and nine making calls. The total number of revenue passengers moving through the port’s two cruise terminals this year reached 885,949, the kind of level that sued to be seen at Vancouver. These numbers are expected to increase in 2012 with the addition of Disney Cruise Line’s Disney Wonder, which has been scheduled for fifteen voyages to Alaska. Alaska continues to be a popular destination for ships sailing from Seattle, which, averaged a load factor of 109% this year, based on double occupancy. 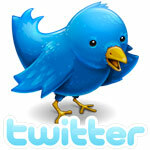 Regular callers include Carnival, Celebrity, Holland America, NCL, Princess Cruises and Royal Caribbean International. Seattle’s projection for 2012 cruise season sets the expectation of 880,918 cruise passengers with 201 scheduled cruise ship dockings, a few mnore calls but slightly less throughput.. Crystal Cruises has picked up on a formula that has not been used for years now, a 7-night round trip cruise from Montreal on the Crystal Symphony on September 30, 2012. 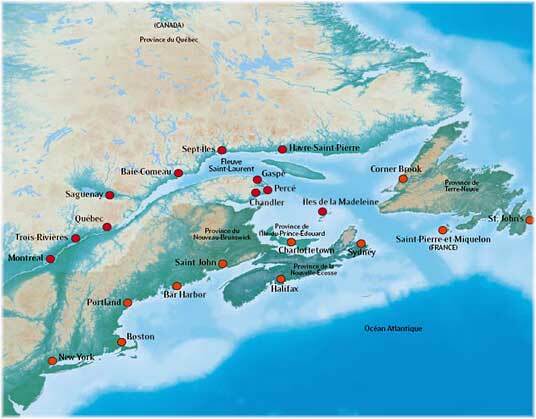 Indicative of the gradual progress being made by Cruise the St Lawrence and the new Canadian cruise ports in the Gulf of St Lawrence, three of the four ports of call, Sept Iles, the Magdalen Islands and the French Atlantic islands of St Pierre et Miquelon, will be first time calls for Crystal. The fourth port of call, Quebec, which will be visited before the return to Montreal, has itself been voted the most popular port of call in North America. Sept Îles is a new and upcoming port, having only opened a cruise terminal in 2010 after Holland America’s Maasdam became the first modern age cruise ship to call there on May 19, 2009. Cruises had not been operated to Sept Iles since the last coastal passenger ship arrived from Montreal fifty years ago. The new wharf extension also allows cruise passengers to take a new train to visit an native Innu summer camp on the Moisie River. This river is famed for its salmon and has been fished by prime ministers. The Innu themselves are descended from the Montagnais tribes that used to spend their winters in the bush trapping and come down the rivers to the St Lawrence to trade with the Hudson’s Bay Company and others in the summer. Although Cunard Line, Greek Line, Home Lines, the Baltic and Black Sea Shipping Companies and Polish Ocean Lines had all offered round trip cruises from Montreal in the past, there has been no regular ship in this service since OdessAmerica’s Gruziya almost twenty years ago now, in 1992. Although Canada’s cruise numbers are approaching a million cruisers a year, not to mention the huge catchment area in the US Midwest, the usual St Lawrence cruise still involves a one-way voyage between Canada (at either Quebec or Montreal) and the US East Coast (usually Boston or New York) so it is curious that no one has tried to exploit the Canadian market from Montreal for almost twenty years. Crystal’s new 7-night itinerary comes after a 14-night one being offered in the same month by Saga’s 18,591-ton 446-guest Quest for Adventure. Departing Halifax on the 17th for St Pierre et Miquelon, the Magdalen Islands, Havre St Pierre, Sept Iles, Montreal, Trois-Rivières, Quebec, Saguenay, Baie Comeau and Gaspé before returning to Halifax, thisn will be the most complete Gulf of St Lawrence itinerary yet. Slowly, it seems, Cruise the St Lawrence is making some progress. Some people have even tried to describe Labrador Cruises as the new Alaska, but the difference is that fifty years ago Alaska did not have a new North American Emission Control Area to deal with.